Beaver Bridges provide a turn-key bridge building service throughout the UK and Europe. 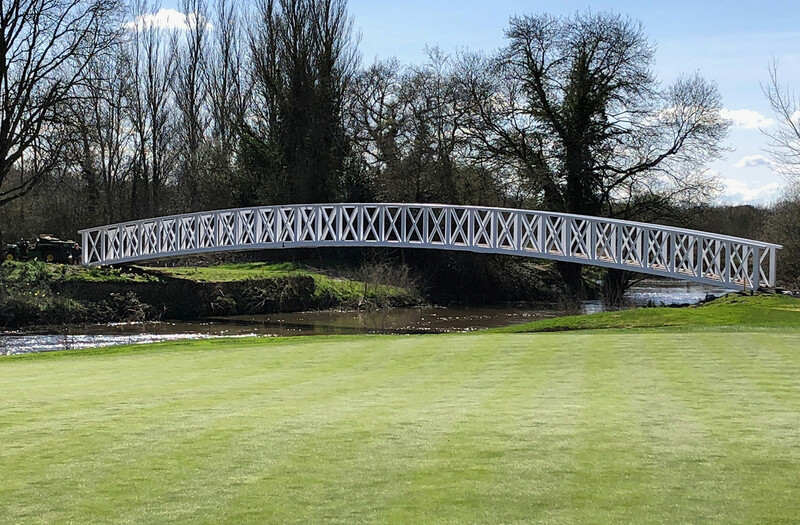 Based in Shrewsbury the group of companies consists on Beaver Bridges, Beaver Bridge Hire and BeaverTW each offering a differing bridge and access solutions. 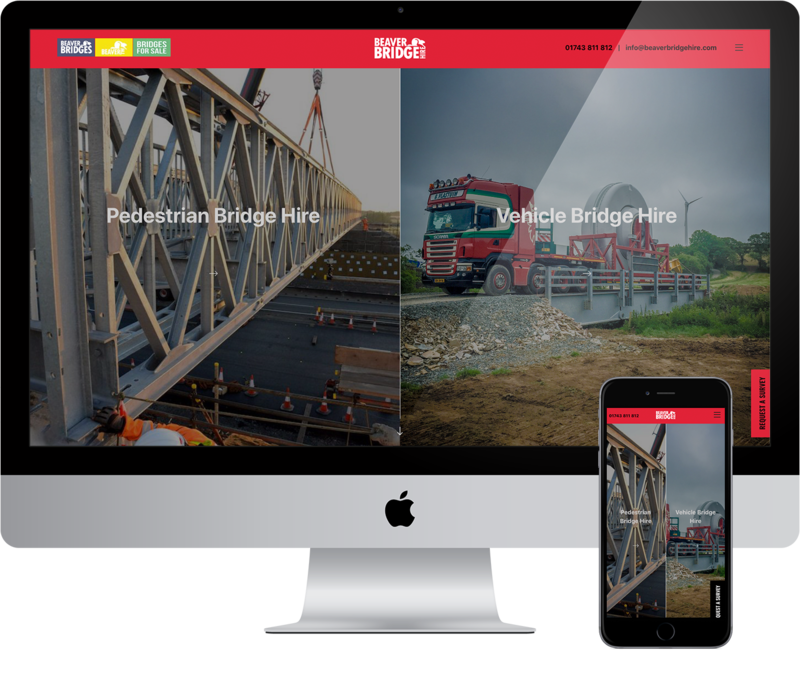 We have worked alongside the team at Beaver Bridges Ltd to redesign three of their company websites - BeaverTW - Beaver Bridges - Beaver Hire - and provide them with three new responsive websites that share the same structure and style but represent each company individually. 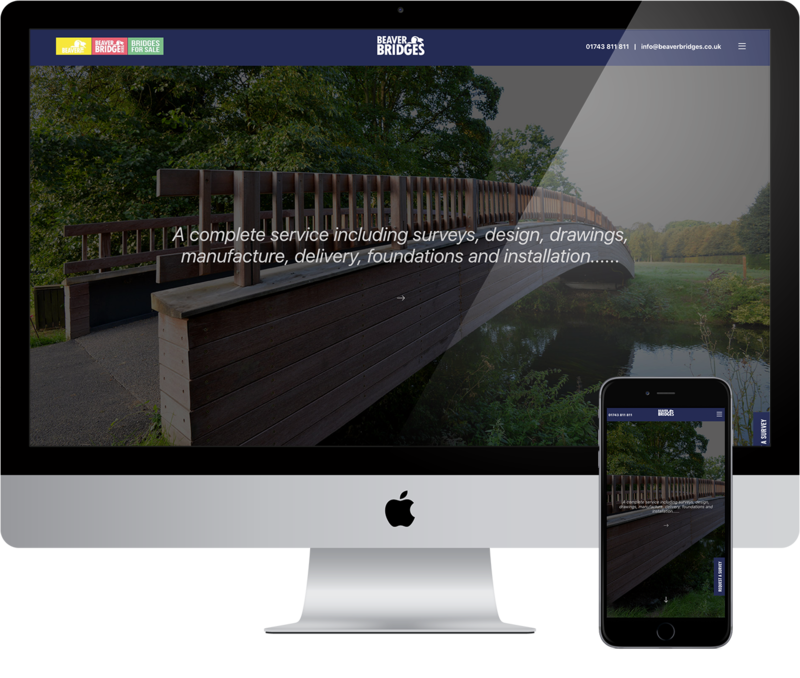 We have now created 3 websites that bring brand unity into Beaver Bridges corporation and shared user experience to improve the user journey. We have also integrated the websites within a multisite environment. The three websites share the same backend and user-friendly CMS system that allows Beaver Bridges to upload images, edit content and create pages easily and effortlessly. 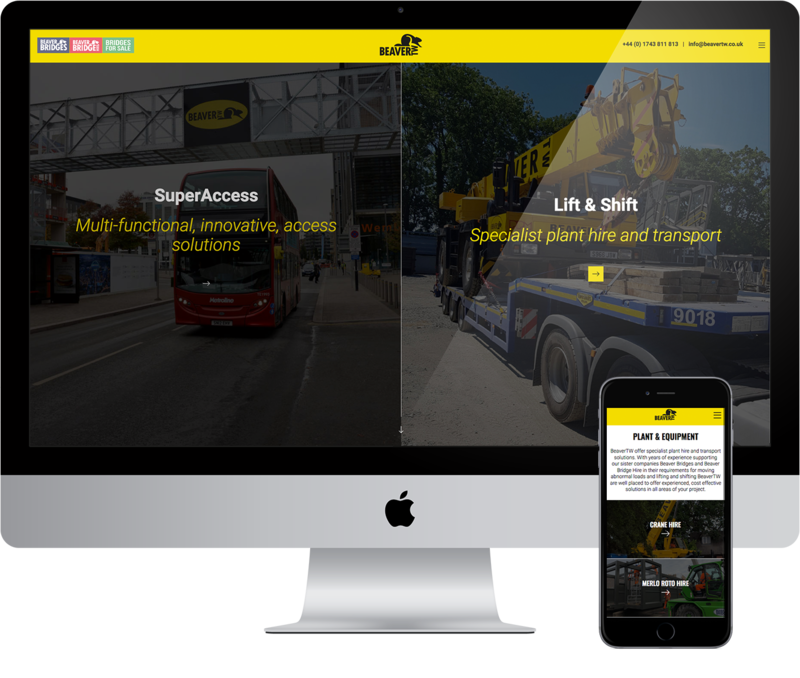 Through the project we have liaised closely with Henry Beaver, (Managing Director) and his team, working closely with them we have achieved the initial project goals and created a website that truly portrays the companies. 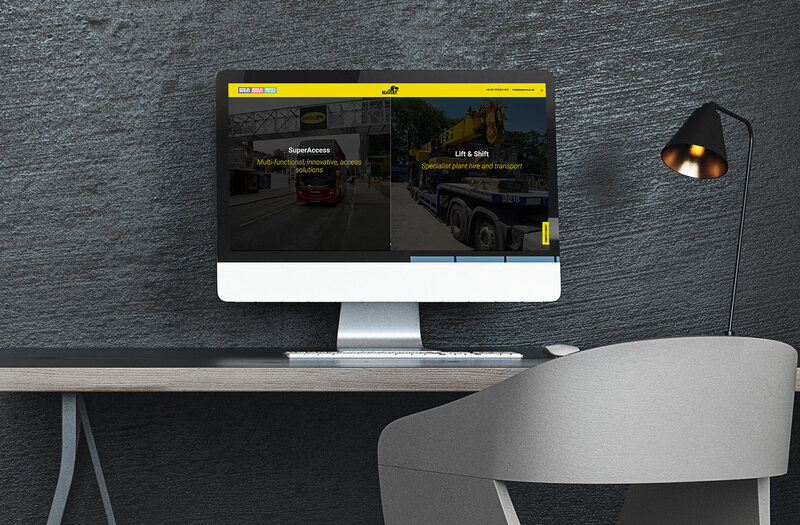 Since going live Beaver Bridges have been extremely pleased with the whole project from the initial visuals through to seamless the go live. We can only say working with Beaver Bridges on these exciting, yet challenging projects have been a pleasure and very much a highlight of last year. This year we are looking forward to further supporting and developing these three sites to help the Beaver group achieve further success.